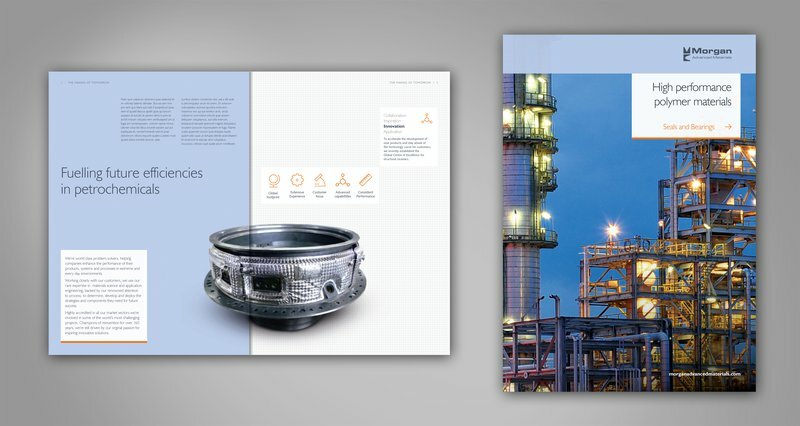 A FTSE 250 company producing ceramics and components for some of the world's biggest organisations and high profile manufacturing projects. 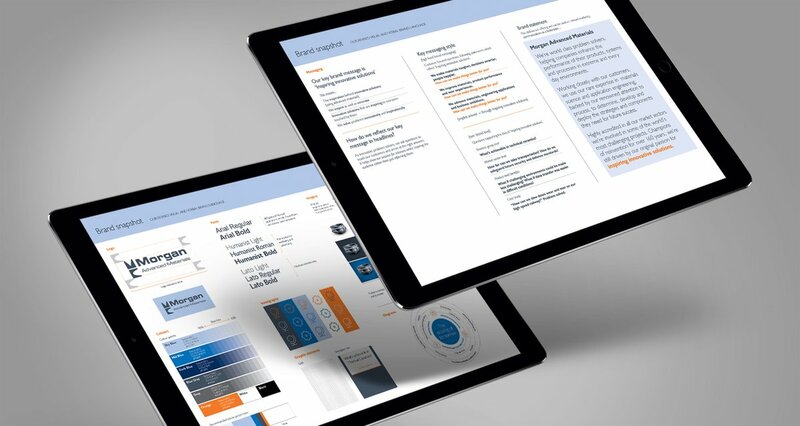 A 'Brand Snapshot' document was created to communicate our recommendations, DNA and messaging internally and externally to allow quick adoption of best practice quickly. 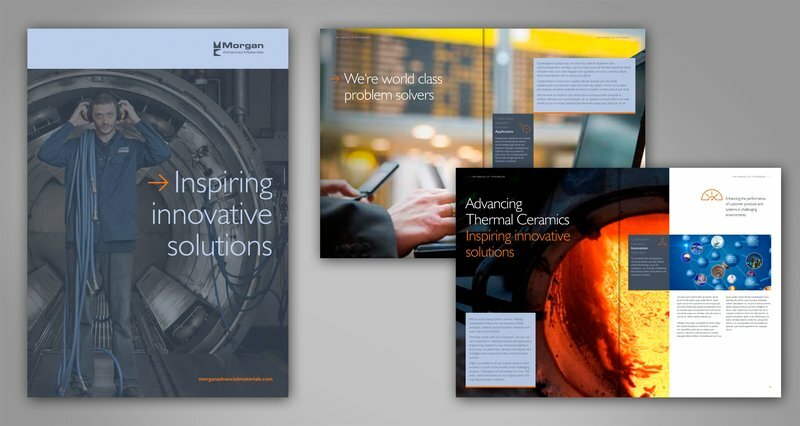 Morgan Advanced Materials are a manufacturer of specialist products, utilising carbon, advanced ceramics and composites and required Chaos to help bring the brand, DNA and messaging in line. Following an internal restructuring, it was felt that the brand had become disjointed and inconsistencies were occuring with on and offline comms aswell as printed materials. 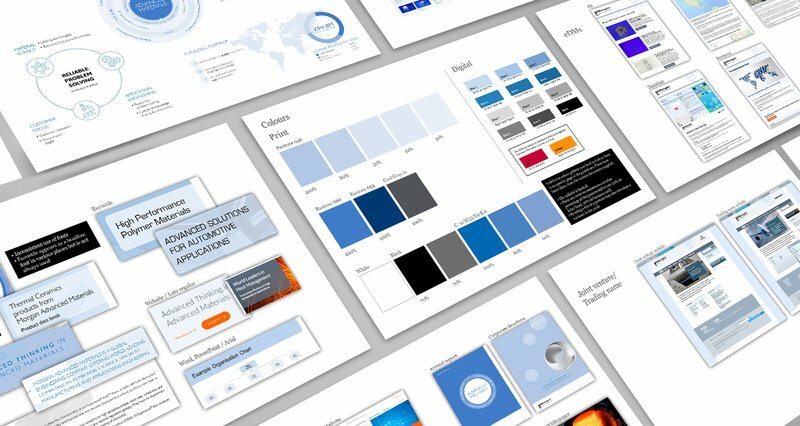 Chaos was appointed to do a full brand audit and make recommendations and to help define the companies Brand DNA and strategic messaging.